Dark Shadows Blu-ray Review. 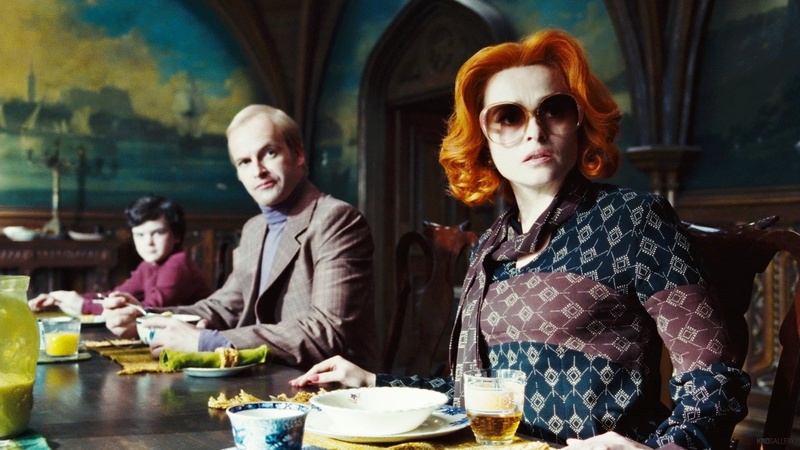 Dark Shadows is one of Burton’s better films in recent years, but it still feels like he puts more effort into the visual side of his stories than the story itself. 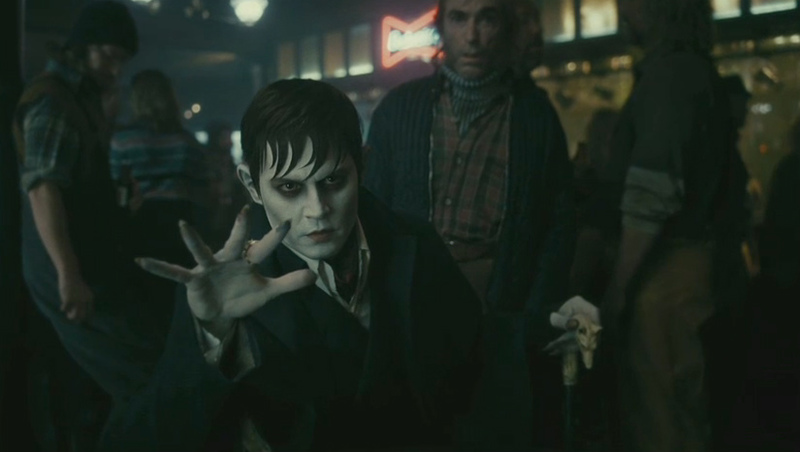 Johnny Depp stars in Dark Shadows, a reimagining of the classsic 70s soap and yet another collaboration between him and director Tim Burton, bringing their total films together to eight. Also starring an ensemble cast featuring Michelle Pfieffer, Helena Bonham Carter and Eva Green, Dark Shadows tells the story of one Barnabus Collins, a 200 year old vampire who is reawoken and must adapt to life in the rocking and rolling 1970s . After their last abysmal project together, Alice in Wonderland, my main concern was that Dark Shadows’ story would be as chaotic and thin as Alice’s was. It is, in some aspects, but it’s a vast improvement in many ways. Dark Shadows is by no means a family friendly film; the violent and sexual nature of the characters rivals some of Burton’s earlier work such as Sweeney Todd, which certainly wasn’t intended for children either. The dark and gothic tone is used well however, with some scenes being borderline disturbing to watch. Unfortunately the film fails to find a perfect balance between this unsettling tone and a comical one; rather than being told with an even spread the mood of the film jumps from one to the other, which was the main problem I had with Alice in Wonderland. The film would’ve worked better if it had had a stronger focus on one of these emotions rather than the wonky and awkward balance Burton has chosen. Depp’s performance is one we’ve come to expect from him, he takes on his role as Barnabus well and he’s very likeable because of this. It’s just a shame that it took so long to grow fond of his character due to the way Dark Shadows introduces its characters. The film rushes through the opening in less than five minutes and by then it already expects us to feel sorry for Barnabus, who had just lost the love of his life and has been cursed to live as a vampire for eternity. For this reason I found it hard to connect on a strong emotional level with any of the characters. Their feelings were as tangible as silly putty, Barnabus’ in particular; in one scene he swears not to bring harm or trouble to the Collins family yet moments later he kills six people and is now a fugitive living in their house. It’s this lack of a cohesive story and character development that prevents Dark Shadows from being a rather good film. Burton has learnt from his mistakes, seriously toning down the amount of obvious CGI on display in Alice in Wonderland. While there is still a generous use of it, Dark Shadows has a much more natural feel to the scenes, and the dark and gloomy setting which juxtaposes with the bright and relaxed nature of the 1970s is used to great effect. Visually this is a beautiful film, and I wouldn’t be surprised if it recieved Golden Globe or Oscar nominations because of this. There’s a solid amount of special features included in the Blu-ray release of Dark Shadows, including deleted scenes, cast and crew interviews, music videos and featurettes. There’s some decent value here and some of the content is quite entetaining to watch. Dark Shadows is one of Burton’s better films in recent years, but it still feels like he puts more effort into the visual side of his stories than the story itself. This isn’t always a bad thing, the visual style of the film works great and effectively adds to the story, however the characters aren’t fleshed out enough to be memorable once you’ve finished watching.